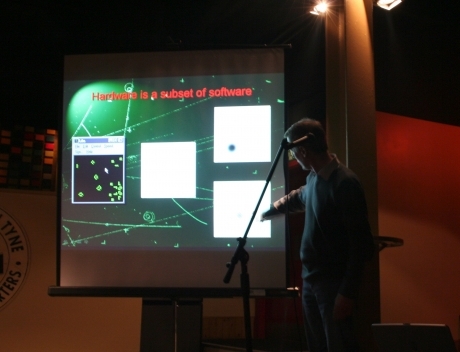 Café Scientifique is a regular event hosted by the Policy, Ethics and Life Sciences Research Institute in Newcastle. To celebrate AV Festival 06, Café Scientifique held a very special evening with acclaimed programmer Steve Grand (Cyberlife Research). Can something that happens inside a computer ever be really alive? What does this imply for our traditional understanding of reality? Steve Grand is often credited as Britain’s most intelligent man and has been cited as one of the 18 scientists most likely to revolutionise our lives during the 21st century. He was in conversation with Dr Tom Shakespeare. Steve Grand OBE is an English computer scientist and an internationally recognised roboticist. He was the creator and lead programmer of the Creatures artificial life simulation, which he discussed in his first book Creation: Life and how to make it, a finalist for the 2001 Aventis Prize for Science Books. 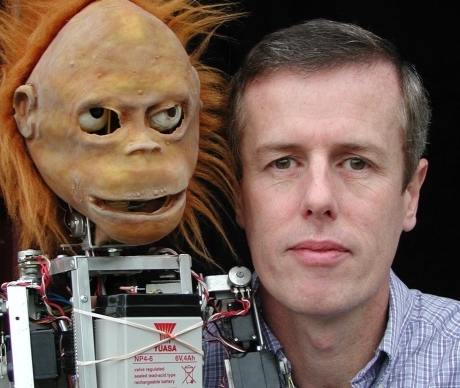 Grand's project from 2001-2006 was the building of an artificial robot baby orang-utan, with the intention of having it learn as a human baby would. This is documented in his book Growing up with Lucy.